A couple of weekends ago, I was helping my boss move boxes at his place so that he can begin enjoying his man cave. 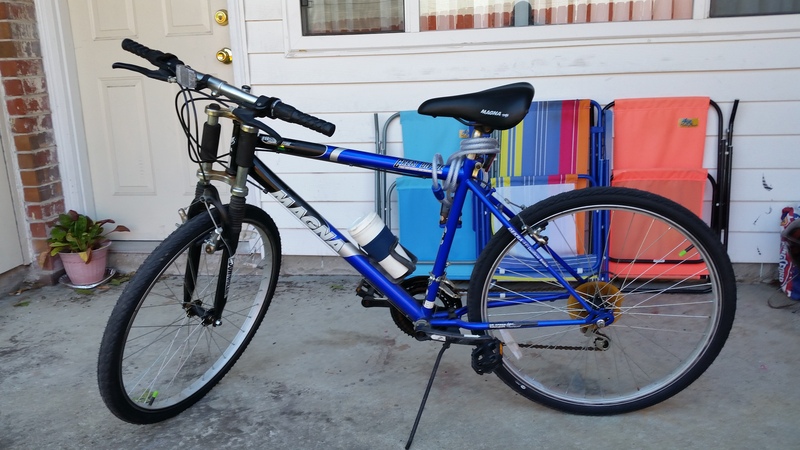 In doing so, he had a 18 speed bike that was taking up space he no longer had a need or want for it. It had been sitting in a garage for years but was still in good condition. 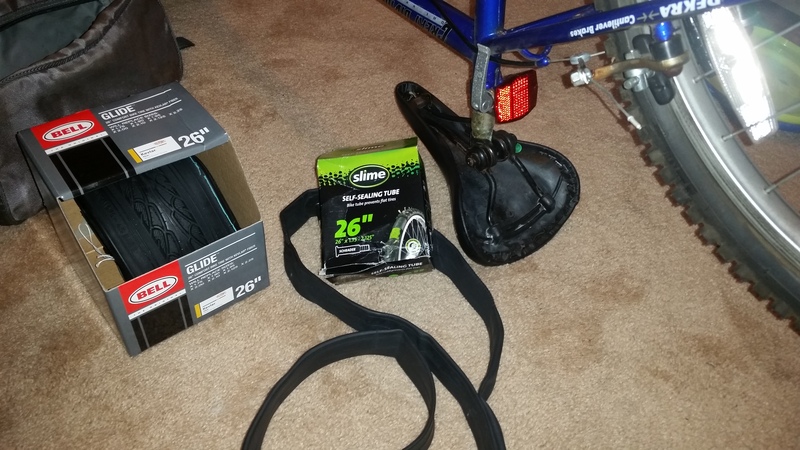 The tires were dry and I knew the tubes would have to be replaced as well. 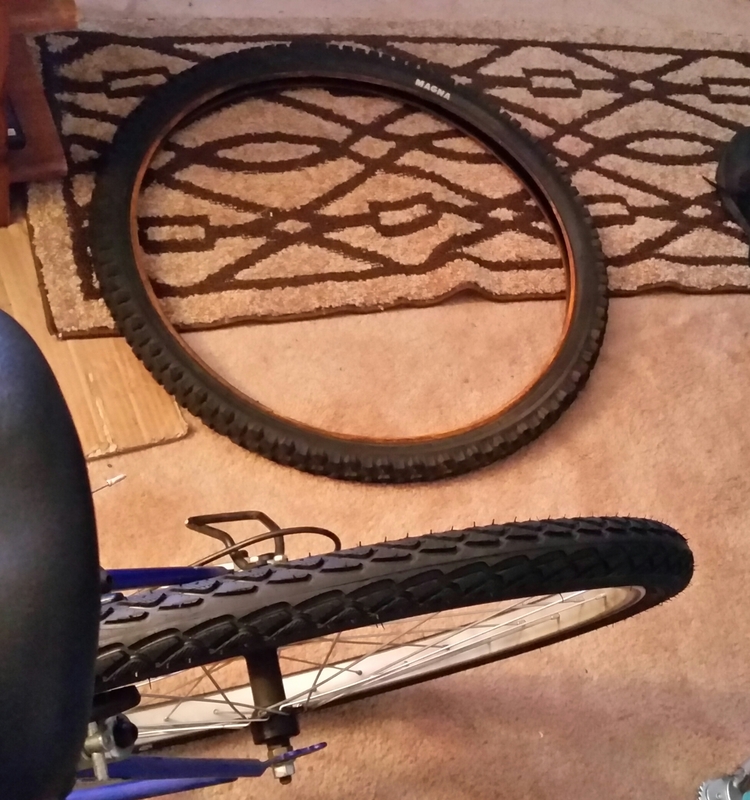 Yesterday I did the front tire and tube. 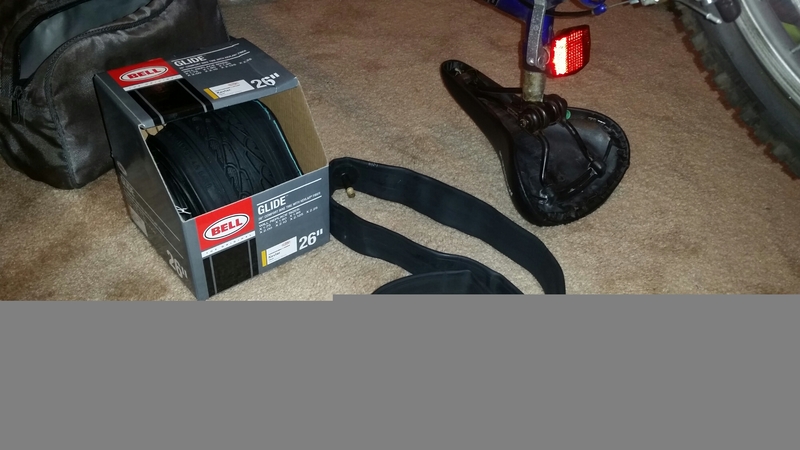 This morning I stopped at Walmart to pick up a few things and got the other tire and tube. 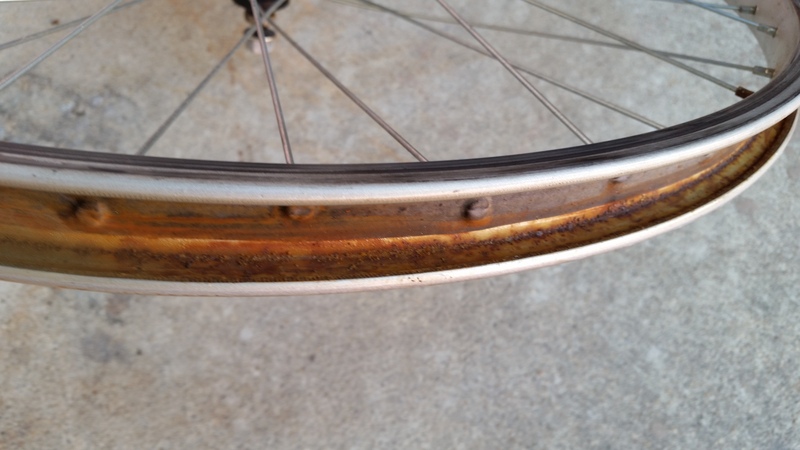 After removing the old tire and tube, I saw that rust was on the inside of the rim. 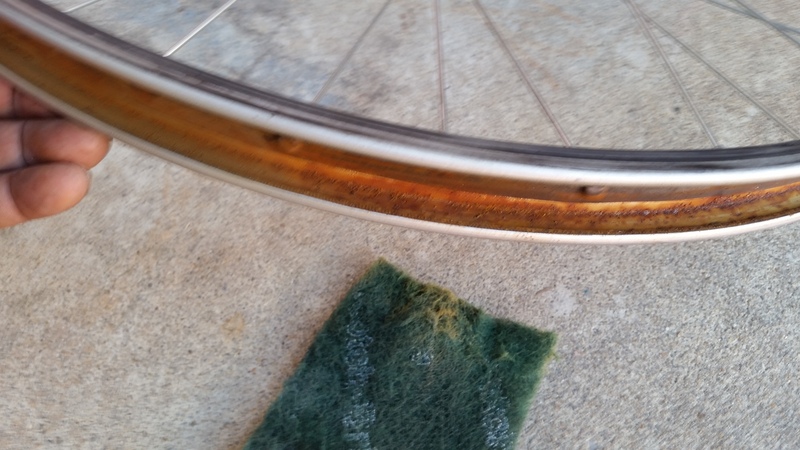 So a little elbow grease and a scrubby pad was in order. That didn’t take too long and before I knew it, it was all back together. It rides much better than I thought it would and I rode further than planned. I really like my new (used) bike. Now I have an after work stress burner! My sleep is not as I would like for it to be. I find myself sleeping when I would like to be awake and awake when I would like to be sleeping. I’m not sure why. I’m thinking of changing a couple of my things in my to do list, in order to break this routine I have fallen into. I could do some things now while I am awake, but I know I would be up until 2 or three in the morning even though I would be up at 5 to get ready for work. To do some of the things at this hour of the night would require the use of power tools at times…not a good time. If I were to pull up my designing software, I would get no sleep at all or I work until falling asleep at my PC. I’m beginning to think I’m one of those people who slows down emotionally during the winter months. I never thought of myself as having that problem before, but I am getting older and I don’t consider myself as being old. I don’t act or work my age. It’s not that I’m trying to stay young…that’s just how I am. When I work, I work hard. When I’m with family and friends (I count my co-workers as friends) I like to laugh. The laughter of those around me makes me feel good. I am concerned but not worried about my misdirected sleep and falling behind in some accomplishments but there will be a turnaround.